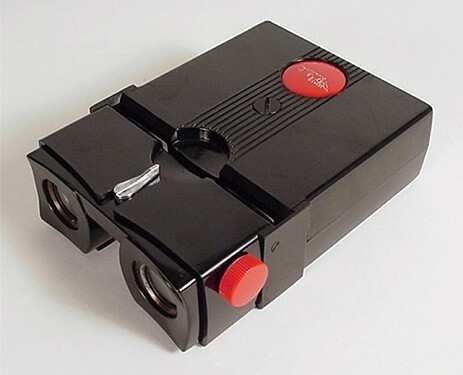 This David White Realist model 2061 stereo slide viewer operates on two D-cell batteries. Adjustments are provided for inter-ocular separation and focus. The viewer is in excellent operating condition. 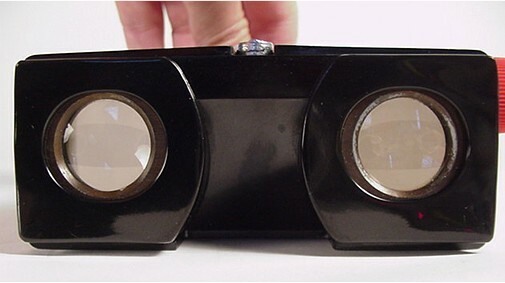 The lenses are clean and clear and the adjustments work smoothly. 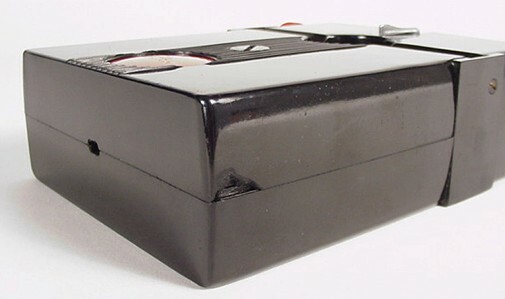 There is a crack in the bakelite that does not affect viewer function. Viewing is sharp, clear and bright.